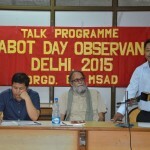 Delhi, 01 Oct 2015: The Manipur Students’ Association Delhi, on 30 September 2015, had organised “Irabot Day Observance Talk Programme” at the Department of Political Science, Delhi University (North Campus). 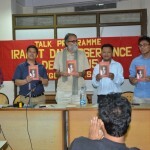 The talks delivered by Dr. Gurumayum Amarjit Sharma, Assistant Professor, JNU and Vijay Singh, Editor, Revolutionary Democracy, were moderated by Dr. Malem Ningthouja, Chairperson of Campaign for Peace and Democracy Manipur (CPDM). 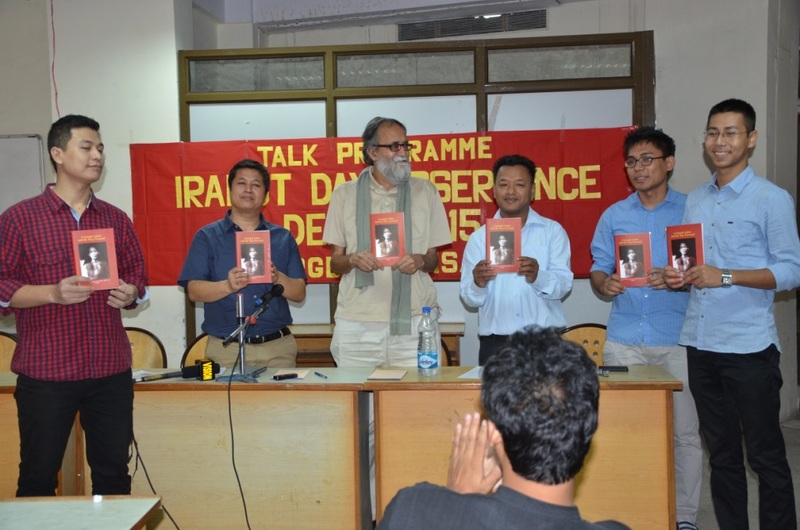 A book entitled “Comrade Irabot and the Way Forward” which is jointly published by Manipur Students’ Association Delhi (MSAD), Irabot Research and Commemoration Committee (IRCC) and Campaign for Peace and Democracy Manipur (CPDM) was also released. 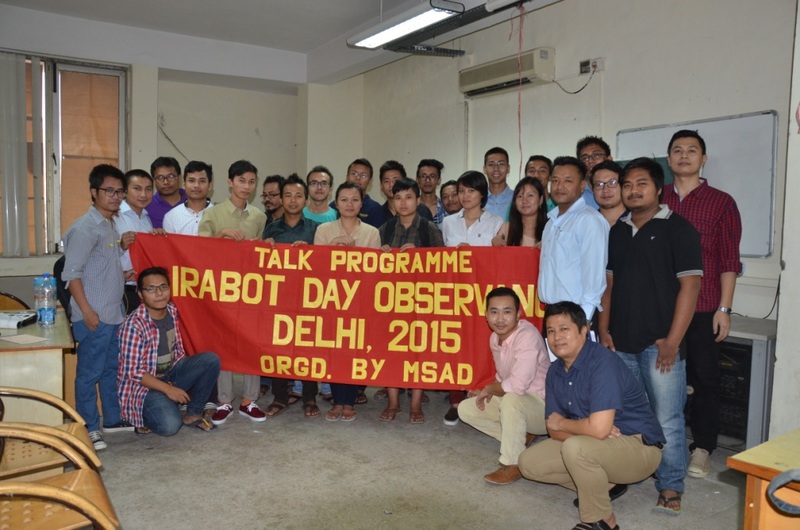 Many students, teachers and researchers attended the programme. A Note making competition was also held on the topic “Hijam Irabot and Revolutionary Movement: Legacy and Contemporary Relevance”. 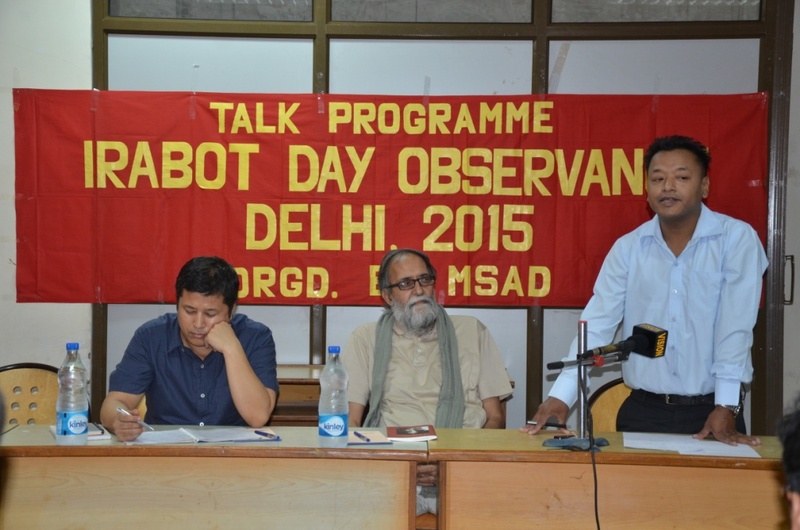 In the programme, it was upheld that Irabot was a believer in democratic movements and social revolution. He had stood for Manipur with an internationalist outlook. Revolutionary movement will continue as long as there is structural inequality and injustice. The PR was sent by Salam Benson, Academic Secretary, MSAD. 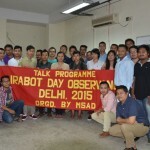 They can be contacted at msad(dot)manipur(at)gmail(dot)com.